Did you know that with the right care, your teeth can last for a lifetime? To ensure that your teeth and gums stay healthy, the best preventive care starts at home. When you practice the right oral hygiene habits and visit your family dentist in Virginia Beach twice a year for a cleaning and checkup, you will set the right foundation for a lifelong healthy smile. Your first line of defense against preventable oral health issues, like tooth decay and gum disease, starts with your toothbrush. It is recommended that you use a soft-bristled toothbrush and a fluoride toothpaste to brush your teeth twice a day for at least two minutes each session. Unfortunately, three out of ten adults brush once a day. If you are among those who skip proper brushing, you are allowing harmful bacteria to accumulate in your mouth, which can eat away at your enamel and cause an infection in your gum tissue. Even with the best brushing habits, there are still areas in your mouth where your toothbrush cannot reach, like in between your teeth and around your gum line. To clean the areas, it is best to floss your teeth every night before going to bed. While it is vital to your oral health, only four in ten Americans floss every day. If you are skipping it, you are leaving as much as 40% of your teeth’s surfaces uncleaned. Over time, this will cause harmful tarter to accumulate, which will infect your gum tissue. This is known as gum disease. It is estimated that 50% of adults have a form of the infection. If you do not remain proactive to keep your gums healthy, the infection can eventually lead to tooth loss while also negatively impacting your general health. 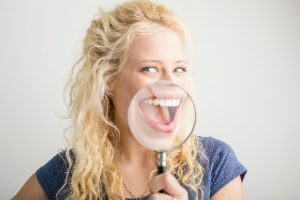 Although your home oral hygiene habits are an effective form of prevention, you also need to see your dentist in Virginia Beach twice a year for a cleaning and checkup. Unfortunately, one-third of adults did not see their dentist last year. If you are among those who did not schedule an appointment, you could have dental issues brewing beneath the surface. A regular cleaning removes harmful buildups that can lead to tooth decay and gum disease. With a comprehensive checkup every six months, your dentist will monitor your oral health to detect any areas of concern sooner. With quick intervention, you will keep your smile healthy while preventing the need for an invasive treatment in the future. It is never too late to commit to your oral hygiene. Take the time each day to care for your teeth and gums to maintain a healthy, beautiful smile. Dr. Vinita John Folck strives to deliver dental care that makes you feel like you are part of a family. She treats everyone with respect while providing comfortable care that caters to your individual needs. If you are ready to make an investment in your smile, contact our office today to schedule your cleaning and checkup.